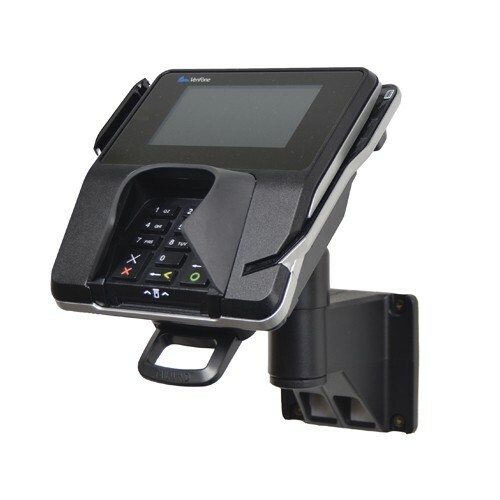 A wall mount solution with bespoke back plate for Wall mount with PEDPack for Verifone MX915/925. Securely and invisibly holds the device in place. 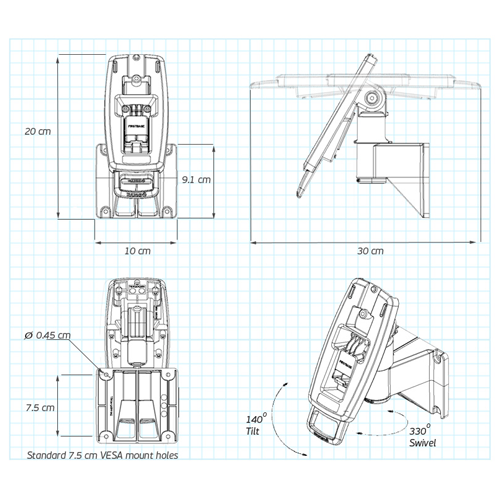 Tilts 140° and swivels 180°.